Torn Label's Magic Magic is back! This once-a-year IPA comes in at 7.6% ABV and 65 IBU's. What makes this IPA stand out? The addition of raspberries and lemon peel perfectly complement the Mosaic hops' tropical notes. What makes it extra special? The beer was inspired by (and features) the artwork of our friend, and employee of the brewery, Thomas Woodward. He's a fantastic visual artist, and an even sweeter human, so celebrate all things local and awesome by picking some up! 4pk cans are available at all 3 locations, and each store will be tapping a keg over the next few days, so keep up on social media for the alert when growlers are available. Be on the lookout tomorrow for some new beers! New stuff from Abomination, Fat Orange Cat, Central State, and Hoof Hearted will be hitting stores tomorrow afternoon. Thanks to everyone who came out last night for our lambic tasting. 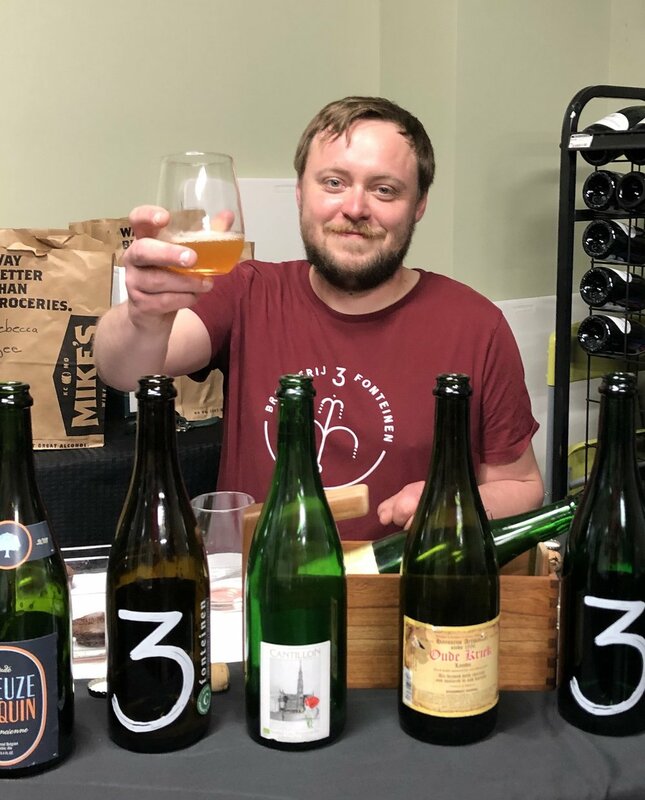 I had a great time pouring and talking about my favorite style of beer. If you have any friends that wouldn't want to miss those sorts of events, encourage them to sign up for the newsletter!